Last week, we showcased our top 5 picks for the much-hyped Phillips Watch Auction in Geneva, a hugely awaited event that included a number of outstandingly rare pieces. Well, the results are now in, so how did we do with our predictions? Read on below to see, but the results are surely and arguably impressive with several records broken in the process. 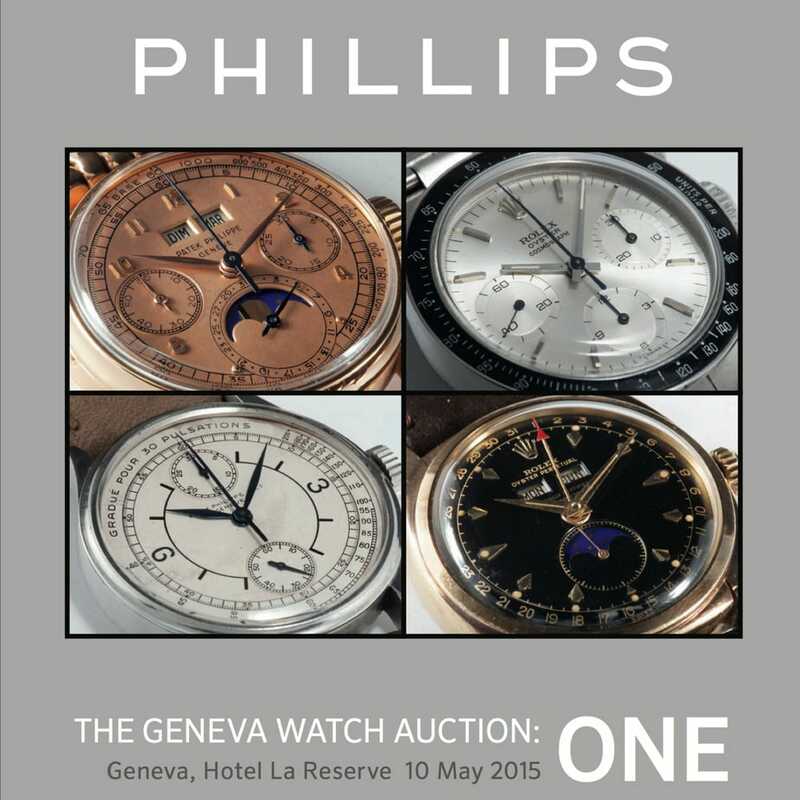 The Phillips Geneva One Auction had a huge turnout. 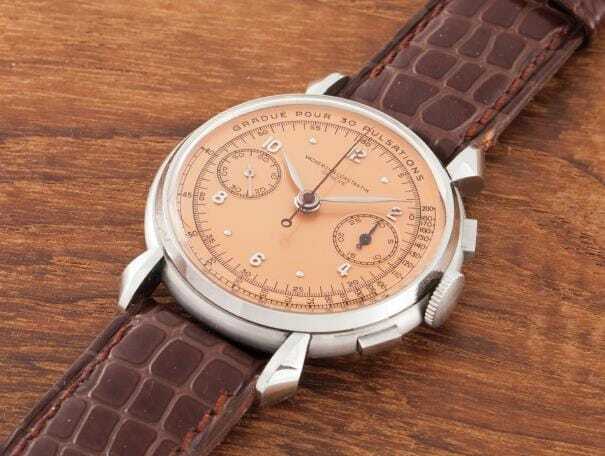 There was much buzz over Phillips first watch action last Sunday, but it seems no one anticipated how big it would actually be—the sale earned $23.2 million, or an average of $102,000 USD per watch. The auction was enormously successful and we congratulate Aurel Bacs and his team at Phillips Auction. While the auction world has long been an elite one, in which rich buyers fly all over the world to attend auctions in New York, London, and Geneva, the internet has democratized the medium, allowing anyone and everyone to place a bid from the comfort of their very own home. In addition, the internet has also made information readily available to aspiring watch collectors, adding to an already surging market for fine vintage collectible watches. Emerging markets, namely Asia, are keen to get into the rare watch game and have turned out in record numbers, pushing record prices higher. While demand has increased over the years, supply has stayed relatively fixed, upping prices and giving rare pieces, even more, panache. With such limited supply of high-quality watches and ever increasing demand, prices should continue to rise, but we’ve noticed that some avid collectors have taken a “flight to quality” mode of late; discerning buyers look to bolster their collection with only the finest grade conditions. As we all know, “a rising tide lifts all boats. Read on for our analysis of the auction’s highs and lows. 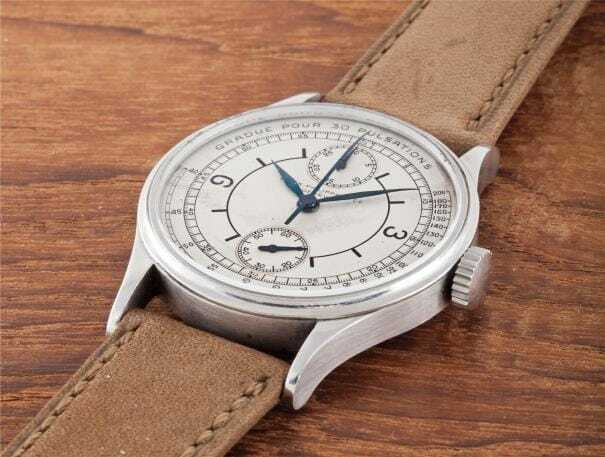 Info: This watch was originally made for twin Argentine brothers in the 1927 and features a steel case, a sector dial and a mono-pusher movement. One of only two of its kind, it’s the ultimate collectors’ piece because the companion watch can only be found inside the Patek Philippe museum in Geneva. Our Take: We estimated this watch would sell well over its high estimate at $3 million, but it’s no surprise that this rare Patek went for $4.3 million (closer $5 million, including commissions and fees). The sale makes it the most expensive stainless steel watch ever sold and the third most expensive watch, period. Our Take: Eric Clapton’s insanely rare Oyster Albino scored a cool $1.42 million, making it the most expensive Daytona ever sold. 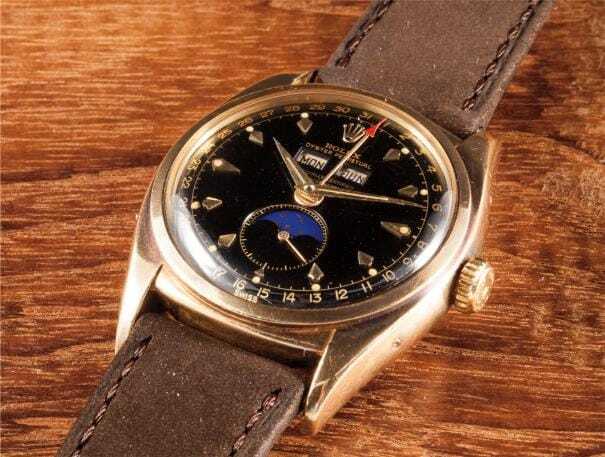 But breaking records isn’t new for this watch—it was previously auctioned at Sotheby’s New York in 2003 and broke the world record for a Rolex Cosmograph Datoya, selling for $505,000. Info: Made in 1951, this yellow gold Rolex features a triple calendar, black lacquer dial, phases of the moon, and original certificate, rating certificate and instruction manual. First purchased at an Air Force Exchange on July 14, 1955, the watch was given to U.S. General Sweeney less than a month later. Our Take: One of only two models ever made with a full calendar and phases of the moon, this watch has an incredible story to tell, perfect for American history buffs who also happen to be watch collectors. Obviously, it went for well above its estimated price. Info: A quintessential Vacheron, this piece is dated 1947 and features a salmon dial, teardrop lungs, Arabic numerals and a crocodile strap. Our Take: This 4178 is in excellent condition and is one of the rarest we’ve seen, thanks to its well-maintained all-steel case. It sold for more than $215k more than its estimate, a huge upset. A stunning 5510 Submariner with an amazing patina. 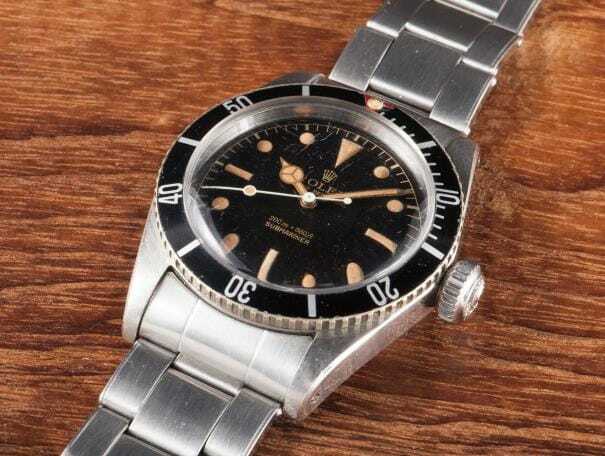 Info: Believed to be one of only 300 examples ever made, this Submariner was manufactured in 1958, a time when Rolex produced smaller qualities of unusual watches. Our Take: Though this ref 5510 sold for higher than anticipated, it could have easily topped $200k if the condition was much better. 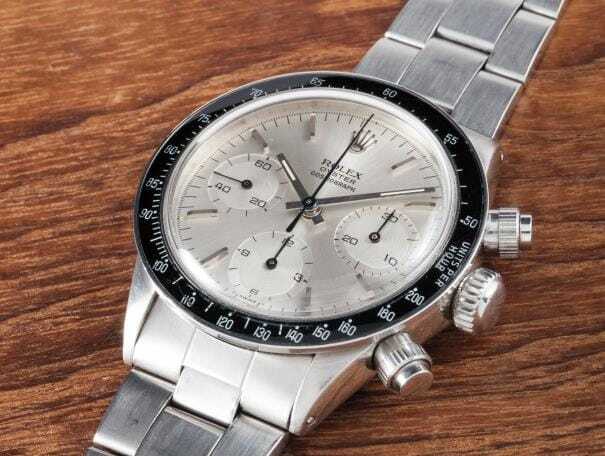 The reference 6200 and 5510 are very rare pieces indeed, and bidding would have been fierce if the quality was better. As we said in the intro, many discriminating buyers are looking for top quality pieces.